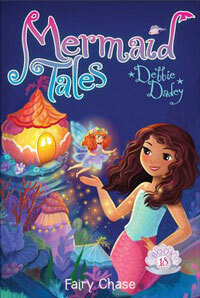 Hi Lissetta, I just had a book come out called Fairy Chase. My next book comes out next May. It is called The Narwhal Mystery. I hope you'll like them! In fact, Sierra might like the joke that will be in that book: What's the prettiest side of a narwhal? Answer: the outside! I liked your jokes Sierra. Annabelle, your mom sounds awesome. Please tell your mom and your friends I said hello! 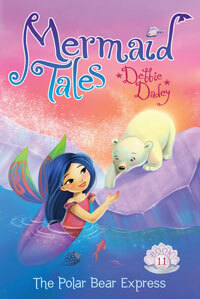 Hi Marci, did you know Kiki is Asian in the Mermaid Tales series? Her most recent book is Books vs Looks. Guh, can't help you with that. I don't write those kinds of books. Suzy, hope you have a happy summer too! Lisa, I believe you already know the answer to that question. Ash, birds and bees are creatures that fly. Alex, talk to your parents about that. 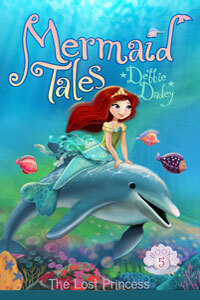 Hi Ira, I'm so glad you enjoy the Mermaid Tales. It is very hot where I live, so reading the Polar Bear Express might cool me off! Hope you enjoy it. Stay cool! 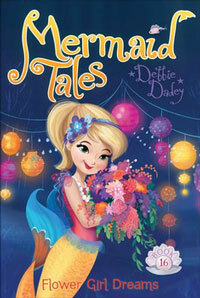 Dear Ellie, I'm so glad you like the Mermaid Tales books. You are quite the reader! I hope you'll enjoy 1, 2, 6, and 18. I wonder if you have a favorite so far. Kaleigh, you have some valid points. Sometimes Pearl does seem mean, but I think she is mostly misunderstood. If you read the end of Books vs Looks, as well as Flower Girl Dreams you might see what I mean. 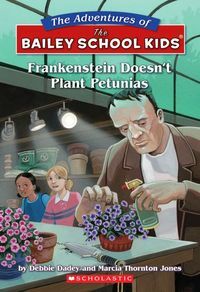 It is true that Pearl is blond, but so is Liza (a character in the Bailey School Kids books). Liza is as nice as she can be!